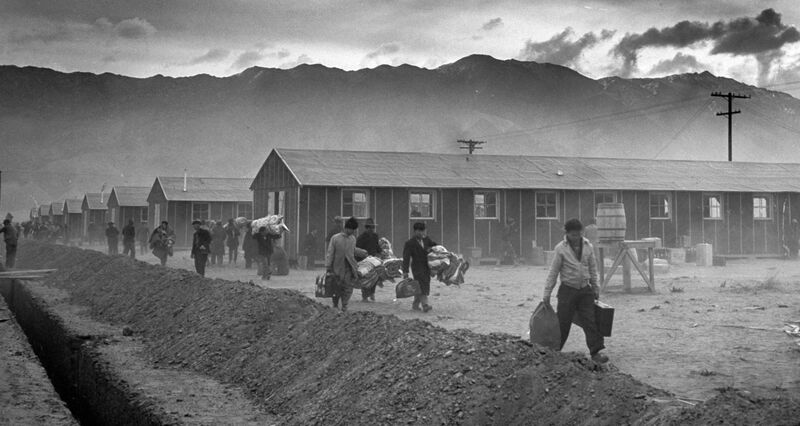 The Manzanar Relocation Center was one of ten Japanese concentration camps that the United States government created during World War II. The attack on Pearl Harbor fueled mass paranoia in the United States, paranoia that led to the development of domestic concentration camps not long before the U.S. would take part in liberating similar camps abroad. 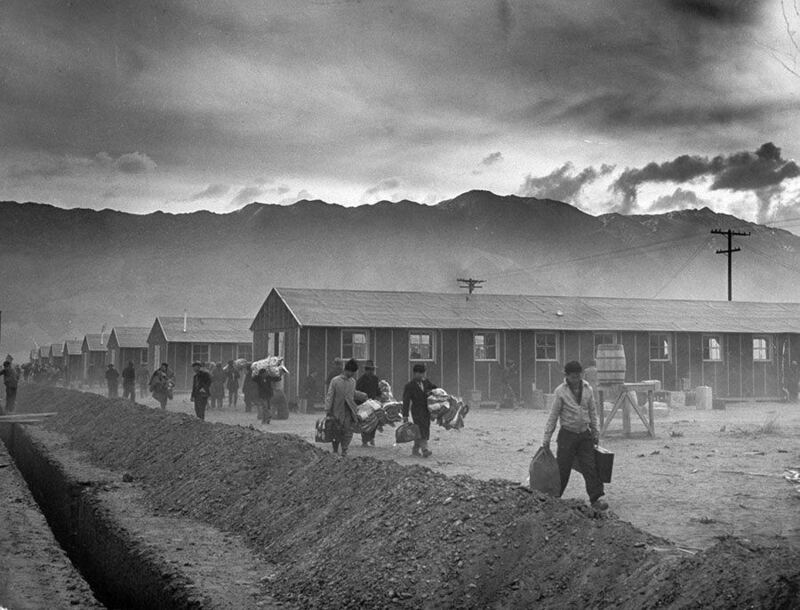 Over the course of just a few years, the U.S. federal government forced 120,000 people of Japanese descent into these camps in an attempt to quarantine and surveil them. It would take decades before these victims saw any form of redress. 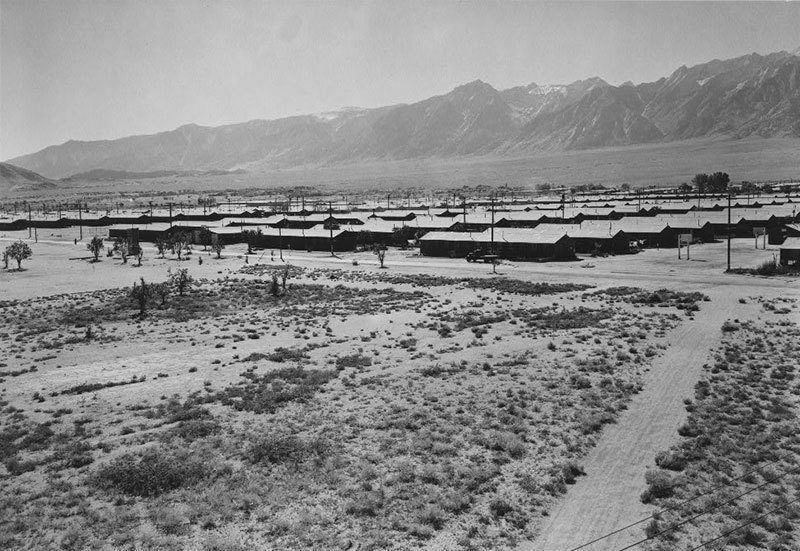 In early 1942, President Roosevelt signed an executive order that legalized the creation and use of these camps. 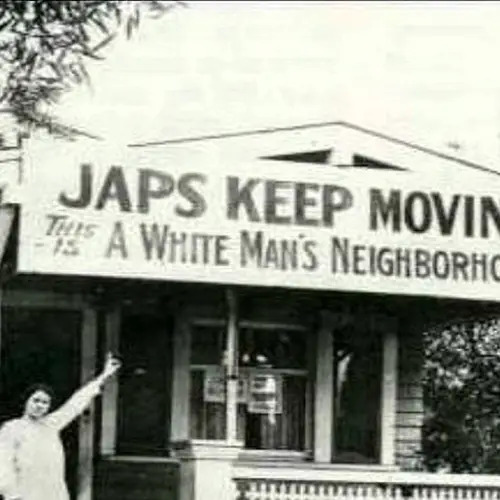 Evacuation orders were subsequently distributed to people along the West Coast, often giving Japanese-American families less than a week to gather their things, leave their homes, and be forcibly relocated. With no information on where they were going or how long they would be away, people were forced to sell or abandon their homes and businesses. 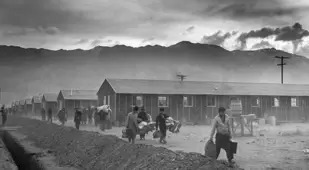 Of the thousands of people who were transported under military guard to one of these camps, the Manzanar Relocation Center, nearly two-thirds were U.S. citizens by birth. 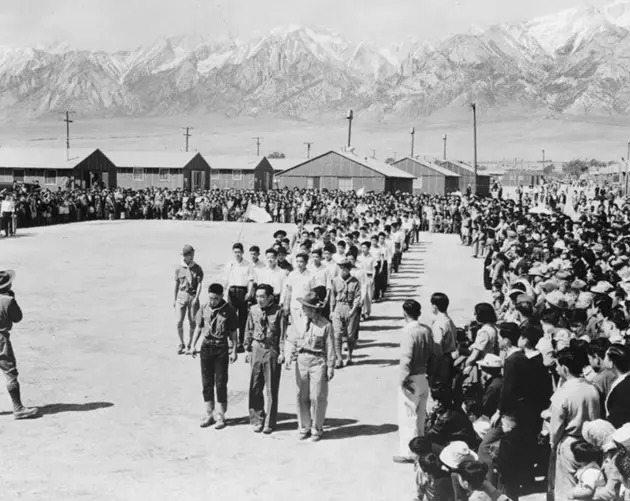 The first of ten Japanese concentration camps around the country, Manzanar Relocation Center got its start as an “assembly center” of the Wartime Civil Control Administration (WCCA). This military-style camp was situated east of the Sierra Nevada Mountains about 200 miles north of Los Angeles. 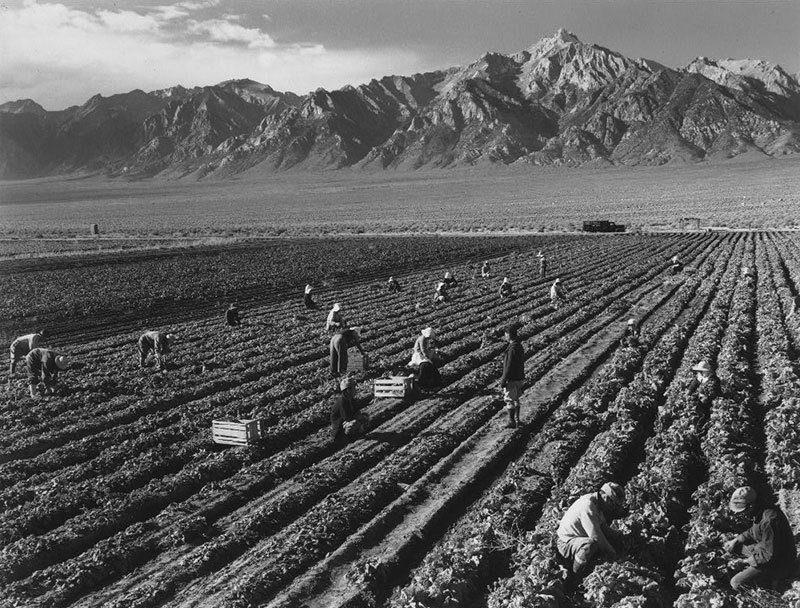 Manzanar covered an impressive 540 acres of land in Owens Valley. 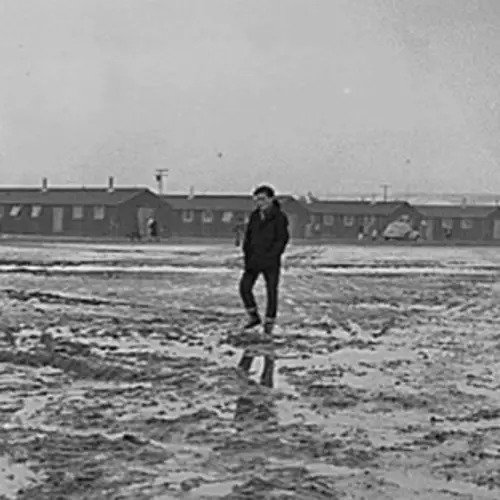 Yet the desert was not a welcome home for most of the camp’s internees. The arid landscape made for blistering hot summers and harsh, cold winters. While some large-scale farming helped keep the concentration camp self-sufficient, most of the internees were forced to hold industrial jobs at the camp’s garment and mattress factories. Wages for their work often topped out at less than 20 dollars a month. Though it was surrounded by barbed wire and a series of guard towers, Manzanar comprised a variety of buildings, including churches, shops, a hospital, a post office, and an auditorium for schooling. Men and women shared bathrooms and bathing facilities, and living assignments were frequently random, meaning that a woman might be assigned to live with a man other than her husband. All in all, mess halls and residences were crowded and sparse. 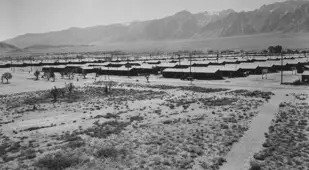 In spite of these conditions, people at Manzanar tried to make the best of the situation. They established churches and recreational programs, and even created a local publication, the Manzanar Free Press. At its peak, more than 10,000 people of Japanese descent called Manzanar their home. It was the most closely guarded internment camp, likely due to its geographical location and particularly hostile population. Manzanar and the other internment camps closed after World War II, but many of the internees had nowhere to go. While the economic impact of their imprisonment was devastating, the social and cultural implications were likewise detrimental. It wasn’t until 1988 that the U.S. federal government provided redress to these citizens, and offered each survivor $20,000. 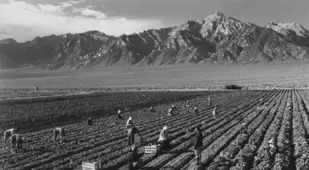 In 1992, Manzanar Relocation Center was declared a National Historic Site. President Bush offered a formal apology the following year. During the camp's four years of existence, photographers were invited there to capture what daily life was like for the relocated citizens. Famed photographer Ansel Adams was one of just a few individuals to photograph the internees, though censorship no-doubt shaped his photos. Still, the images above provide a small glimpse at what life was like in the concentration camps. 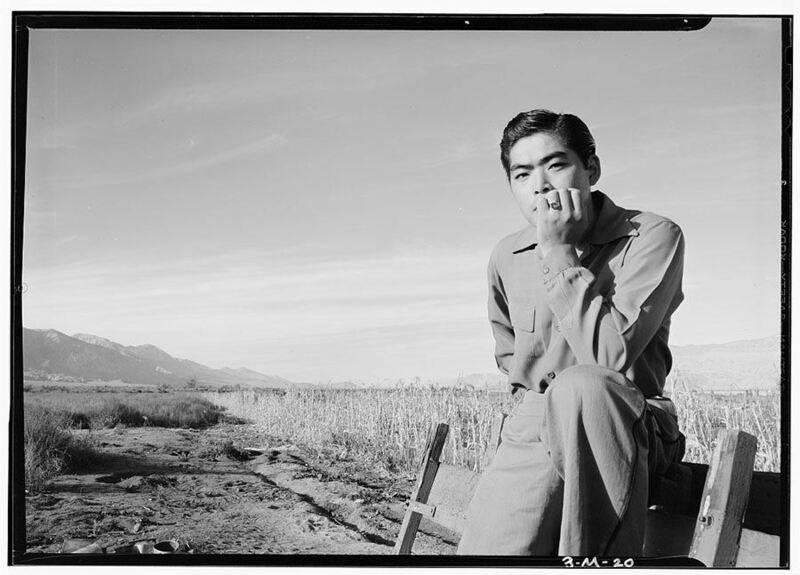 Next after looking at these images of Manzanar, learn more about the internment camps from some of the Japanese-Americans who were forced to live inside them. 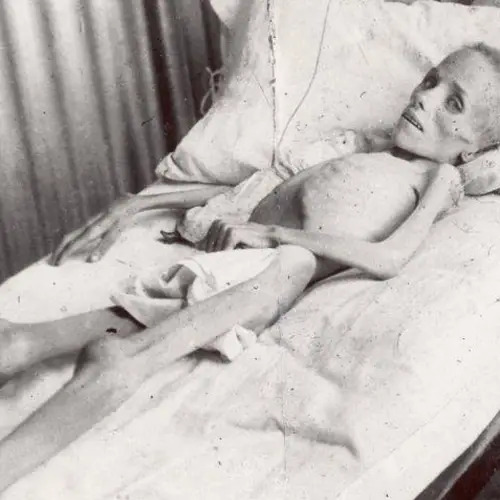 Then, read up on the worst war crimes that the U.S. committed during World War II.